Two months after starting the job, Federal Communications Commission Chairman Tom Wheeler is coming to Oakland this week for his first town hall meeting — a rare opportunity for the public and media advocates to speak directly to the head of an influential federal agency. Voices for Internet Freedom, Center for Media Justice, Free Press, ColorOfChange, and the National Hispanic Media Coalition are hosting the event, titled, "Oakland Voices: A Town Hall on Our Right to Communicate." The program, which happens tomorrow from 7-9 p.m. at Nile Hall in Preservation Park, is sold out, but you can sign up for a waitlist here. The talk will also be live-streamed here. "Too often, the media and telecommunication policy debates are dominated by corporate lobbyists," said Chancellar Williams, associate policy director of Free Press, who will emcee the event. "The most important thing for us is to really put a focus on the community." The FCC regulates television, radio, satellite, and cable and is the federal government's primary authority for communications law. The event, as Free Press has promoted it, is an opportunity to discuss the "impacts of an increasingly corporate media environment on our communities." The two-hour session will cover a broad range of topics, said Williams, including the lack of diversity in media ownership. In the Bay Area, he noted, only 5 percent of television broadcast stations are owned by people of color, while two-thirds of the population across the region are people of color. "What we'd really like to see ... is that the voices he hears in that room carry forward with him when he's making policy decisions down the line," said Williams. 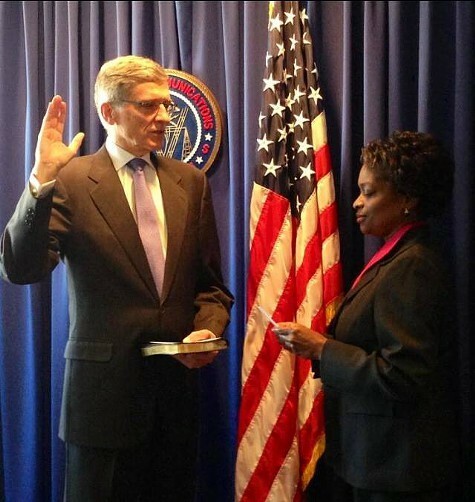 Wheeler stepped up as FCC chair on November 4, replacing Julius Genachowski, who has joined private equity firm Carlyle Group as a manager director, a move announced this week. Oakland Voices: A Town Hall on Our Right to Communicate will give Oakland community members an opportunity to share their stories — and to tell Chairman Wheeler about the impacts of an increasingly corporate media environment. This is a chance to tell Wheeler face to face about the kind of media system that best meets our needs — and to advocate for the health and well-being of our families and our communities.